Zurich may be the financial and commercial center of Switzerland, at the same time you can find many significant artistic and cultural places. Zurich is the city of many faces but have no doubt they are all very much interesting. Zurich stretches from the northern edge of the homonym lake to the banks of river Limmat. You can visit the old part of the city where you can see parts of it’s medieval history with forts, castles and walls. However, there is a modern side to the town like the Bahnhofstrasse avenue where you can go for expensive shopping to well known boutiques, jewelry shops and watchmaker’s shops. You shouldn’t miss the magical scenery of the lake by taking a walk around it. There is also a great number museums you can visit such as, the Rietberg, the spacial watch museum (Uhrenmuseum Beyer), the coffee museum and the circus museum. A movie festival takes place every year in Zurich every September which is one of the most important in the film industry. All these are just a small taste of what Zurich is all about and there many more places worth visiting in the city combining relaxation and new experiences. Zurich is one the top world destinations so as a result there are a lot of hotels where you can stay during your vacation on that astonishing city. The accommodation chose that are available on our web site is going to fulfill your expectations for your dream journey to Switzerland. 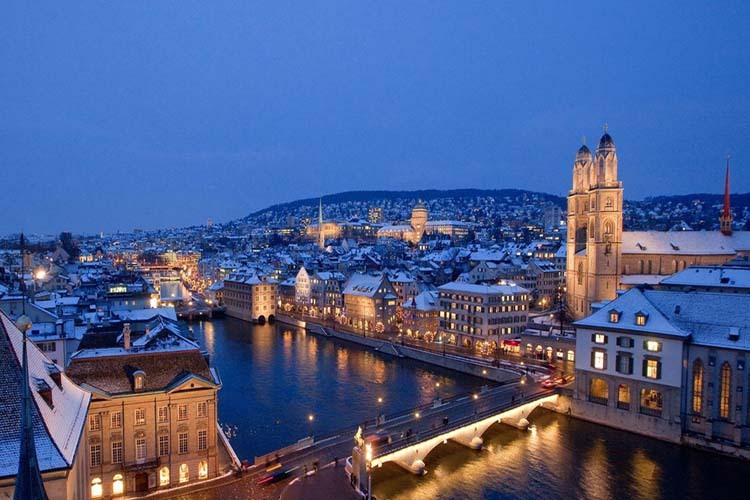 Book now you airtickets for Zurich city and you are not going to have any problems with the occupancy. There are a lot of things that you are going to see and do during your stay at Zurich. We advice you to book now the activities you are going to join in.